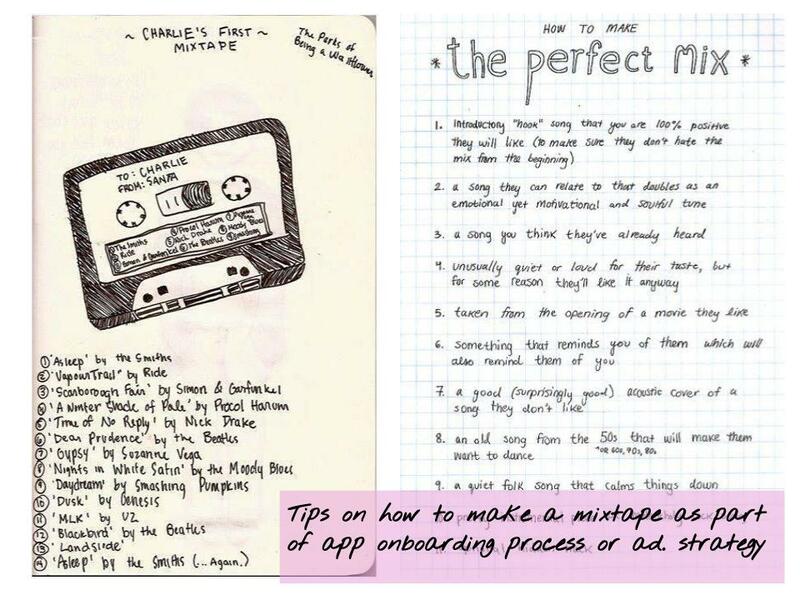 A music app accompanied by physical headphones that recalls the mixtape culture of the past while channeling the DIY counterculture of today to personalize the way we discover and share music. 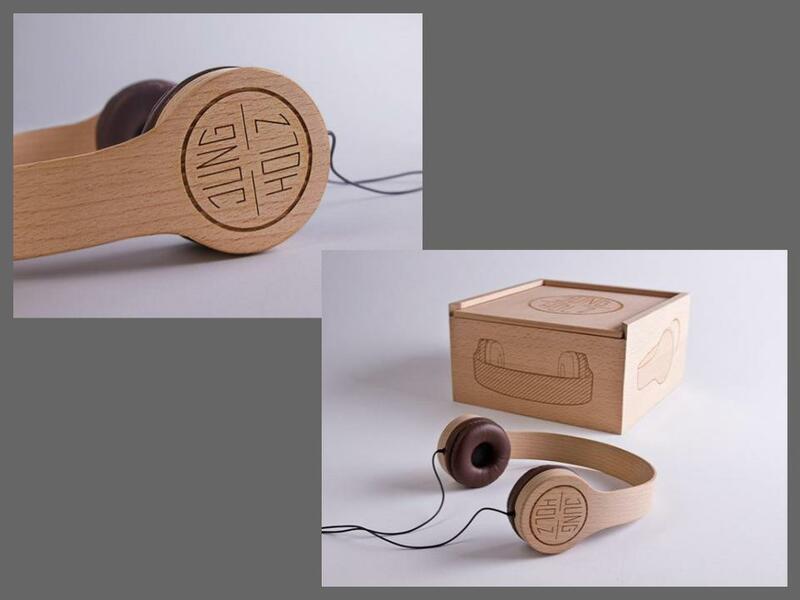 Our challenge was to design a pair of counter-cultural headphones. ReMix is a product that channels the growing DIY counterculture to personalize the way we discover and share music. 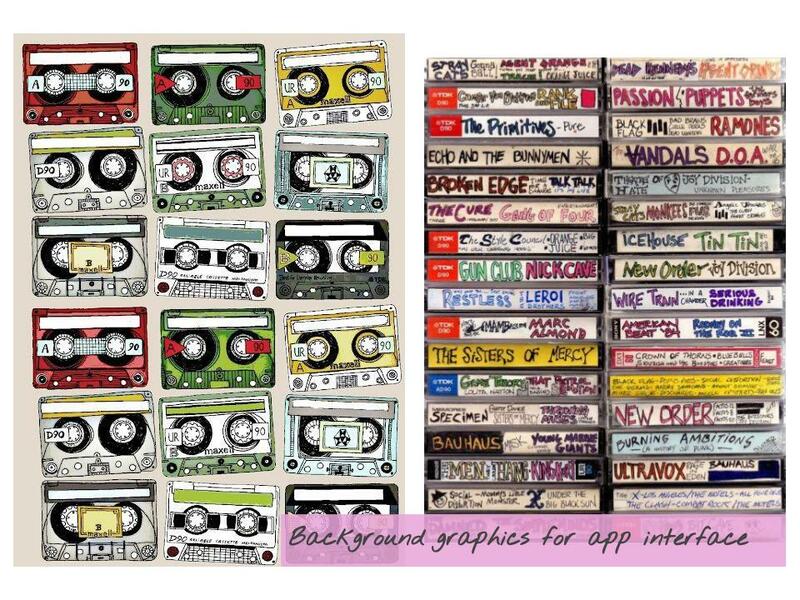 As a throwback to the mixtape culture of the past, the ReMix app enables users to create mixes and design artwork that represents each collection of music. The app is accompanied by physical headphones, upon which users can display the artwork they create. ReMix aims to create a sense of nostalgia for the past while refreshing the music discovery and sharing process for the modern era. ReMix was designed in the span of three weeks in April 2017 for the course Designing for Desirability at the Harvard Graduate School of Design. While music platforms like Spotify do allow users to create playlists for each other, the experience feels rather faceless, with no room for users to truly customize or express personality except through the simple list of track names. To appeal to DIY aficionados, we conceptualized a music sharing experience with customization built into every step, from the headphone design to the playlist’s visual layout. The ReMix experience aims to create a sense of nostalgia that recalls the DIY mixtape culture of past years while refreshing the process for the modern era and the maker movement. The maker movement puts a high value on self-expression through physical and digital fabrication, but at the same time, the movement is trying to balance issues of sustainability and also promote an ethos of creation over consumerism. Therefore, we sought a headphone customization solution that would allow users to create a unique look while reusing a durable base product. Our headphones feature interchangeable plates with designs created by gifters. After receiving or purchasing one set of headphones, wearers can mix them up countless times by adding plates they design or receive from friends. The ReMix experience fuses physical and digital elements, reflecting the maker movement’s involvement in both of these forms of creation. Users of the ReMix app first design a playlist, selecting songs from the ReMix streaming music library. Next, they create a plate design to go along with the playlist. This design might highlight themes of the music selected, express the personalities of designer and/or wearer, or commemorate a special occasion or time spent with a friend. The app’s Canva-like functionality allows even novice designers to put their own creative stamp on the plates, and more advanced designers may upload files from a program like Adobe Illustrator. Just as the maker movement has done, we aim to provide users with the tools to unlock their creativity. The design of the plate is incorporated into the visual display of the playlist that users see in the ReMix app, resulting in a cohesive visual experience. Once the playlist and plate design are complete, the gifter can share the playlist with the giftee, and enter an address for the plate to be mailed to. 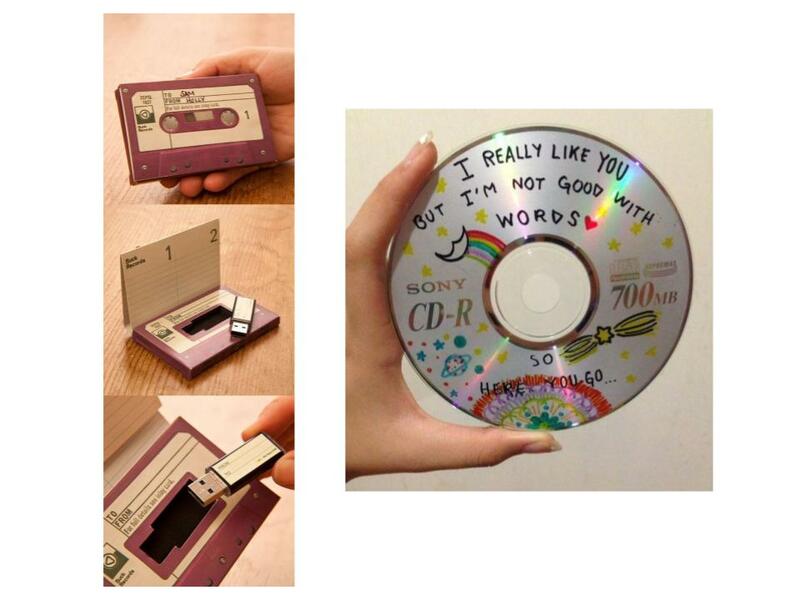 Wanting to emulate the way people gave their friends mixtapes as gifts, we made sure to include a physical component that the user could literally hand over to his or her giftee. Plate deliveries would be free with a monthly subscription fee. Users can also use the ReMix app for free, with a higher individual charge for physical plate deliveries. Finally, musicians could also design plates to go along with their albums or singles, and users could purchase those at a premium price point. We hope that ReMix brings our customer base back to the old-school DIY days of self-expression. Drawing upon the maker movement’s blend of nostalgia for a more hands-on era and its adoption of cutting-edge technologies, we wanted to preserve the sentimentality of mixtapes while incorporating the technology of our modern age. To begin, I created a mood board to capture ideas and inspiration for both the physical design of the headphones and digital design of the app. We liked the retro, artisanal look of the wooden headbands, and thus made the decision to use wood for the ReMix headphones. We laser printed our 2D design of the headband onto plywood, and then began the laborious process of bending the wood, which took several hours. After successfully bending the piece of wood into the shape of a headband, we added a finishing veneer to it. At the same time, we designed the two earpieces using SolidWorks, 3D CAD software. After printing them, we attached the audio equipment through soldering. I designed a few prototypes for the plates based on themes from playlists I've created in the past, and experimented with printing them on both wood and acrylic. We ended up liking the acrylic plates the most, due to the juxtaposition of the smooth surface of the acrylic with the rough texture and artisanal look of the wood -- a mix of the natural and synthetic, classic and modern. "Wanderlust" plate design modified from a graphic by Ranganath Krishnamani, the "City by the Bay" plate design modified from a graphic by Ryan Putnam, and the "West Coast, Best Coast" plate design modified from a graphic by Freepik. ReMix app background designed by Jo James.